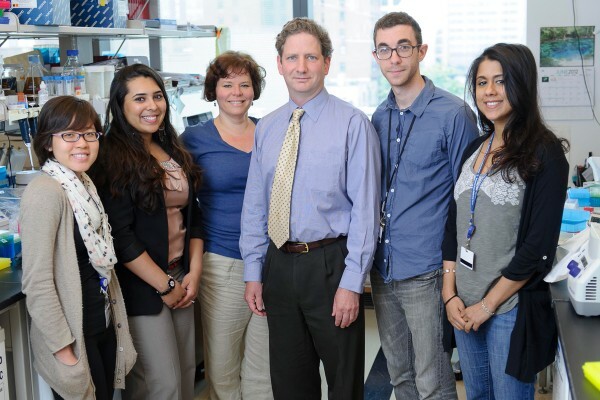 My laboratory focuses on the genomic analysis of human and mouse gliomas and medulloblastomas. I am an integral in the NIH Cancer Genome Anatomy Project, one site of which is here at Memorial Sloan Kettering. I have identified several novel micro-deletions and translocations in glioma that produce protein fusions likely to contribute to the biology of these tumors and is characterizing several of these novel fusion proteins. 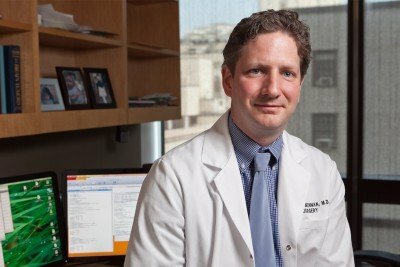 Physician-scientist Cameron Brennan focuses on genomic analysis of human and mouse gliomas and medulloblastomas. View Cameron W. Brennan’s profile. Verhaak RGW, Hoadley K, Purdom E, Wang V, Qi Y, Wilkerson M, Miller CR, Ding L, Golub T, Mesirov JP, Alexe G, Lawrence M, O’Kelly M, Tamayo P, Weir BA, Gabriel S, Winckler W, Gupta S, Hidgson JGH, James D, Brennan C, Kahn A, Spellman PT, Wilson RK, Speed TP, Gray JW, Meyerson M, Getz G, Perou CM and Hayes DN. The Cancer Genome Atlas Research Network. An integrated genomic analysis identifies clinically relevant subtypes of glioblastoma characterized by abnormalities in PDGFRA, IDH1, EGFR and NF1. Cancer Cell, Jan. 2010.